Today is a quick craft for Halloween, a Craft Lightning craft. 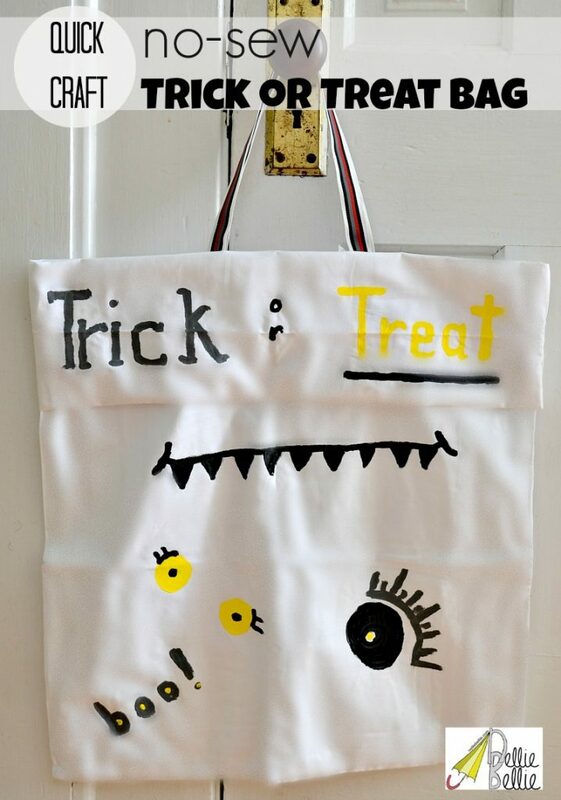 In 15 minutes you can turn a pillow case into an adorable Trick or Treat bag without sewing. No-sewing…dream words right there! “We are a participant in the Amazon Services LLC Associates Program, an affiliate advertising program designed to provide a means for us to earn fees by linking to Amazon.com and affiliated sites.” Go here for our full disclosure. 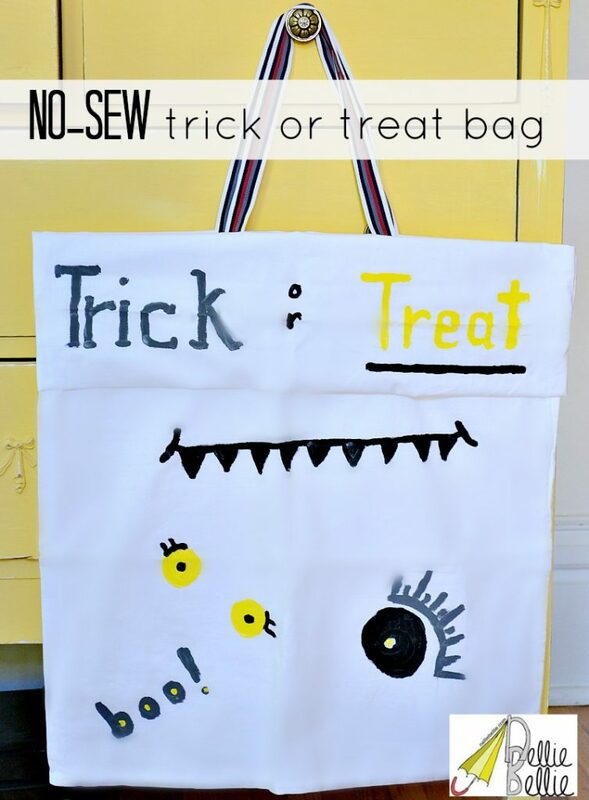 And we know that these bags aren’t the most professionally created (Pinterest probably won’t like them much), but that’s because these are something to make with your kids. They don’t need to be perfect. Not every craft needs to be Martha Stewart worthy. Sometimes…they just need to be fun. The best part of these bags is that they are big. As in big! None of those cute, itty bitty trick or treat bags around here. If my kids want to go all over the county and get candy that they aren’t allowed to eat much of…they can carry it themselves. Yes, sirree! So, this bag is large enough to hold their stash while they walk. And…it’s cute enough to be seen with this year’s Mummy costume! 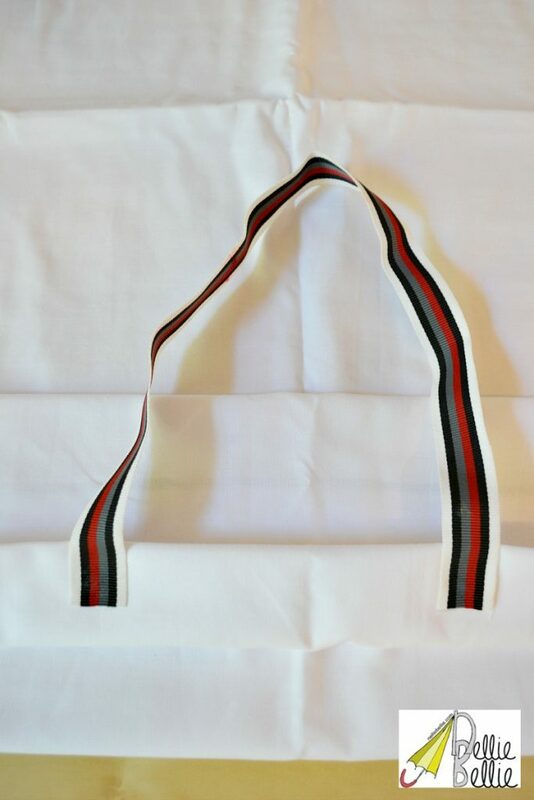 Fold the pillowcase over at the top–twice. Obviously…you can make this any size you like. But, mine was folded twice with each fold about 4inches. 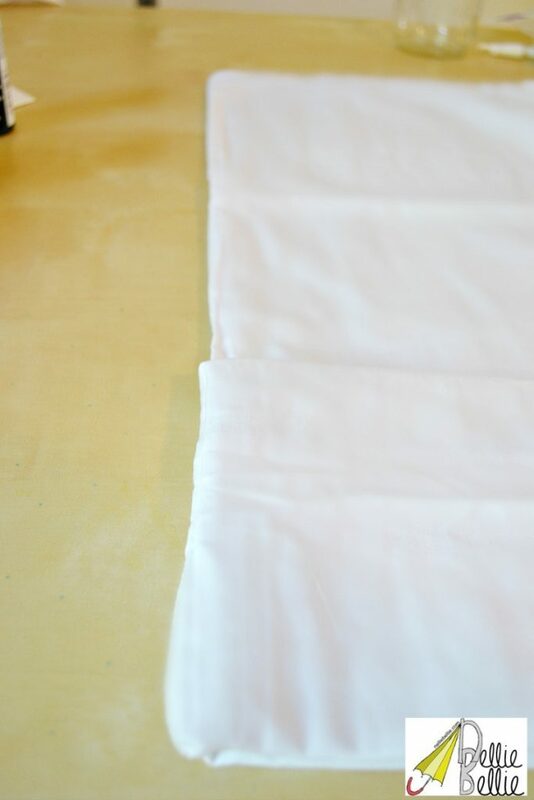 Use your fabric glue or tape to glue down the seam on where you folded over the top. If you have an iron (I don’t) ironing this would make it look cleaner and nicer. Cut your ribbon to the size handles you would like (my ribbon was about 18inches long each). Put a brown bag or piece of cardboard into the bag. This will prevent the paint from seeping onto the other side! 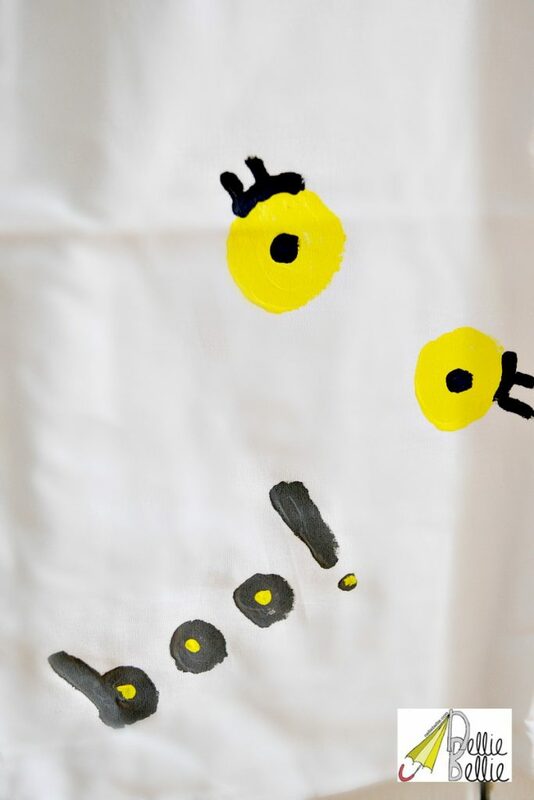 Use Martha Stewart multi-surface paint to paint the bag. I painted mine with q-tips with eyeballs, monster mouth, and a quick Trick or Treat on top. But…make it personalized. 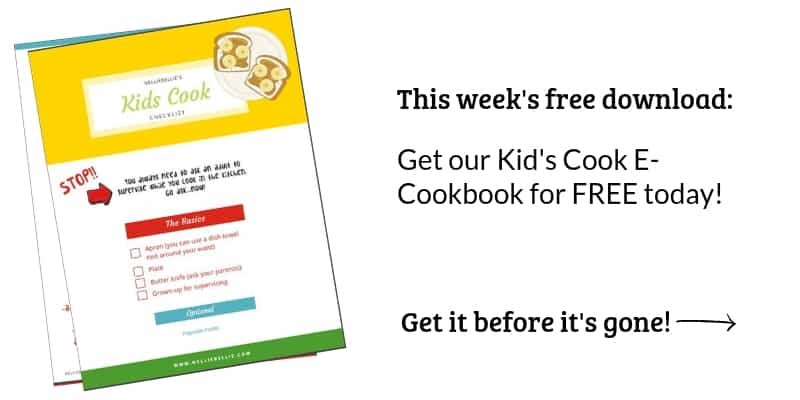 Or, better yet…let your kid do their own! This is a great craft to include your kids on! 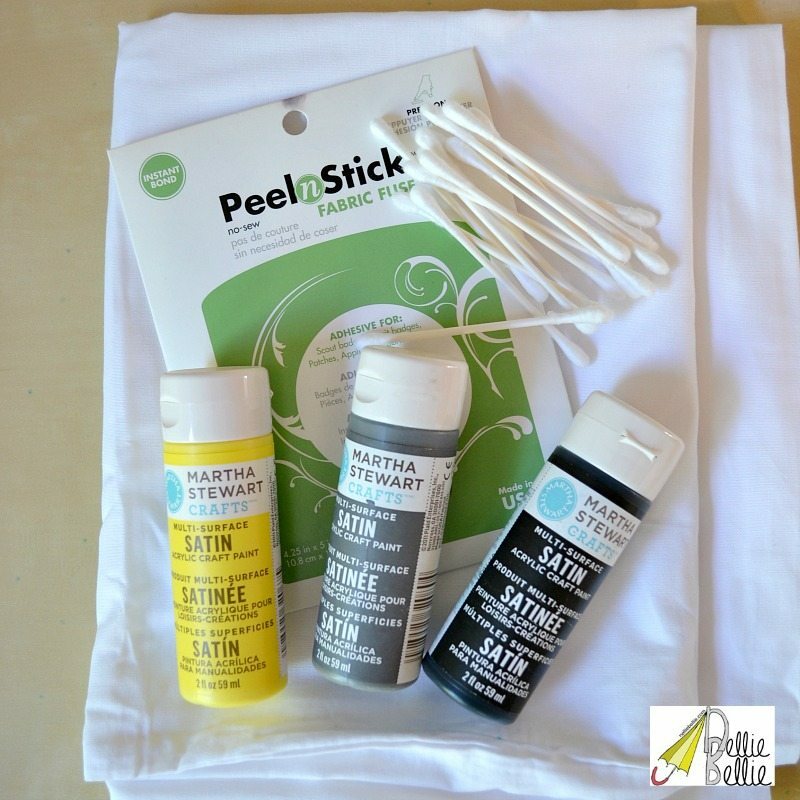 Because it is no-sew, quick, and involves paint…they will love it! 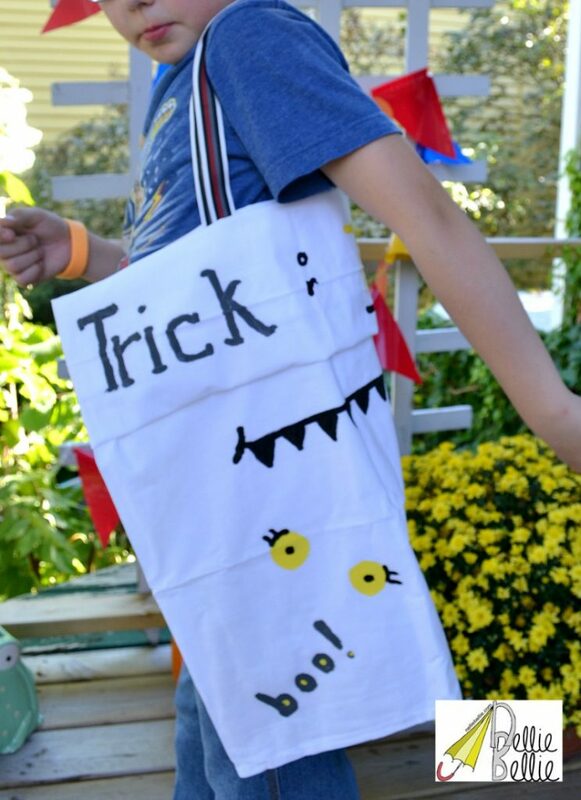 They can have their own personalized Trick or Treat bag this Halloween! For the record, Levi wanted to show you how big this bag is. He is “way happy” that I made it large enough and not like the ones in the “stores” that “are too small”. Yep, that’s why I’m the mom…kid! He plans on filling it…and eating it. Yeah right :). I see Halloween candy fudge in our near future! I love this! And yes, I agree with your son… those bags and buckets in the store are WAY too small! I like to give out candy by the handful… if you lived close, I would have y’all stop by! Adorable and think of the fun small one will have decorating!